You can lose weight healthily and maintain your ideal weight with Linda's help and support. Linda has experience to help you achieve your ideal weight and size by using Hypnotherapy, so call Linda today. Linda can help you lose weight and be healthy with her weight loss programme. Obesity and being overweight is a number one health risk today. Being overweight can restrict your body's activity, damage your health, harm confidence and self esteem, and affect your social life. If you are thinking about losing weight, or have recently begun your journey but need some help and support, Amethyst Therapy will explore the reasons behind your weight problems or eating disorders and help you to resolve them. Linda has produced a weight loss audiobook session available for download. Food - is delicious and people are programmed to eat it – appetite is hard wired into the brain. Food - is good at making people feel better emotionally – it's a fantastic emotional anaesthetic. (comfort eating). Dieting - can make you feel isolated, miserable and lonely at times. Lives are too comfortable – we don't need to expend so many calories. We are being hypnotised to eat by TV and the media. 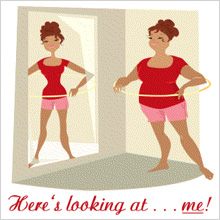 Being overweight can lead to self-hatred and loathing. Hypnotherapy for weight loss is concerned with identifying the thoughts and behaviours which cause you to engage in weight-gaining activities, then addressing through both non-hypnotic intervention and hypnotic techniques. It may seem obvious that to lose weight, one must consume less calories than are expended and most people may be aware of this, but need help to action it. You may be looking to hypnotherapy after many years of trying different ‘diets’ and failing to obtain or to maintain satisfactory weight loss. ‘Diets’ alone can cause you to think almost constantly about food, what you can eat, measuring portions or counting calories and what you are being deprived of. If you eat too little or too infrequently, the body goes into ‘starvation mode’ and stores as many calories as possible as fat, rather than using them for energy, as it doesn’t know when it may get more calories. Also, when you replace sugar with sweeteners and foods containing sweetening agents, it can actually make you feel hungry - when the brain tastes something sweet, it expects to have the calories with it, so if the food is sweetened and there aren’t the corresponding calories, the brain will send a message to eat more in order to get the calories it’s expecting. Hypnotherapy is not a magic cure – it still requires commitment and dedication. It is useful to plan changes in diet and exercise that are suitable to fit in with your essential daily activities such as work, family commitments and interests, so that such changes are enjoyable and sustainable. Please visit the Contact page and call now to book your first session!